← Trader Joe’s comes to PORTLAND! They’re orange and yummy with just a touch of natural sweetness. Not pumpkins, silly – CARROTS! What better way to kick off Halloween weekend than with a big ole dose of veggies? BWHAHAHAHAHHAH!! I found this recipe in the latest Fresh Magazine, a monthly publication from my local Hannaford supermarket. It’s a definite “Keeper” and may very well make its holiday debut this year alongside our Thanksgiving turkey. 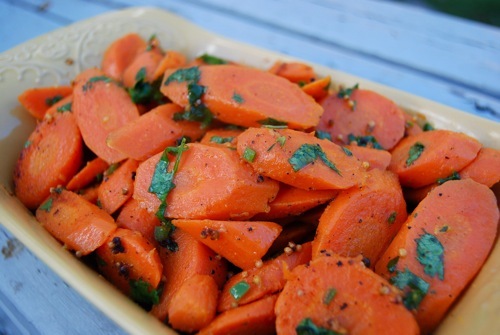 These carrots are festive, simple & simply DELISH! Measure the ginger, jalapeño, mustard seeds, black pepper, coriander, cumin and curry powder into a small bowl, and set aside. Place a large saute pan over medium-high heat. 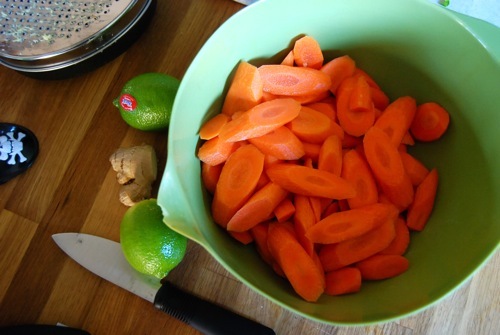 Add the water, oil and carrots to the pan and bring to a boil. Cover pan and cook, shaking occasionally, until carrots are just barely tender, about 6-8 minutes. 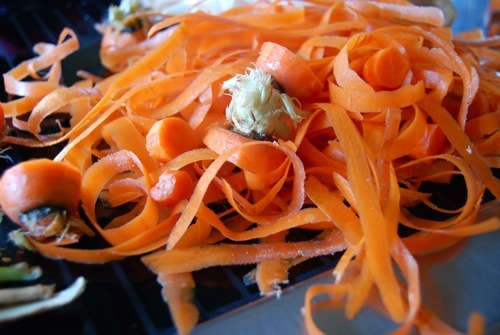 Uncover the pan and continue to cook until carrots begin to sizzle in the oil, about 2 minutes. Add the spice bowl mixture and cook, stirring constantly, 2 minutes. Add the lime juice and cilantro and stir to combine. Remove from heat and transfer to a platter or bowl. Serve immediately. i’ve always wondered what those little brownish round seeds are in my bread n’ butter pickles. now i know-mustard seeds. beat. i don’t like them. 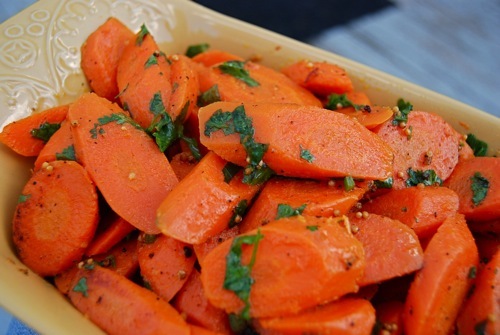 as for the carrots, waaaay to many flavors going on for me but you guys enjoy ‘em!